I have two paintings hanging at this event, Juhannuskokko I & Juhannuskokko IV. You can immerse yourself in art and even take something home. Two of my paintings are hanging in the Talo Täynnä Taidetta group sale exhibition at Galleria 5, Oulu! I'm in good company with over 40 artists from the Oulu Artists' Association. The gallery is bursting with art. Come and pick out a piece of art! There will be a guided tour of the gallery on 1.3.2018 starting at 5pm. 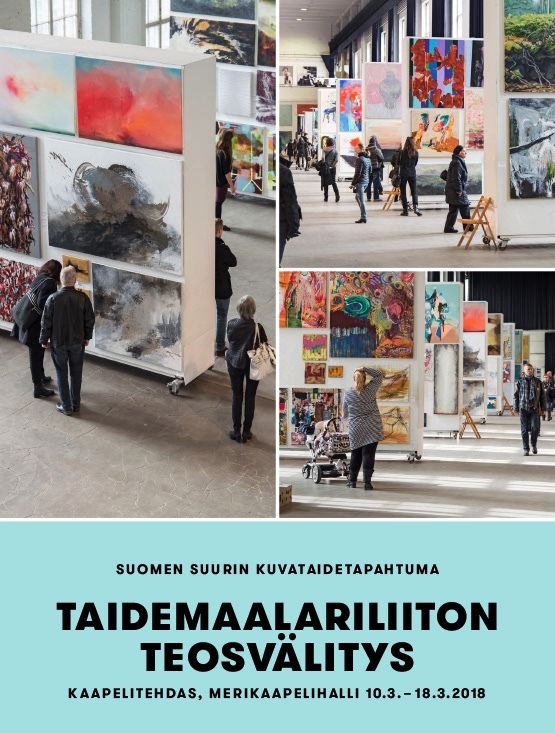 Also, a day to meet the artists (and I will be there) on Taidelauantai (Art Saturday) 17.3.2018 12 - 4pm! Maalauksia / Recent Paintings at Galleria Kajaste, 32 Bulevardi, Helsinki, 9. - 27.8.2017. Opening (avajaiset) Tuesday August 8, from 6 to 8pm. Everyone welcome!